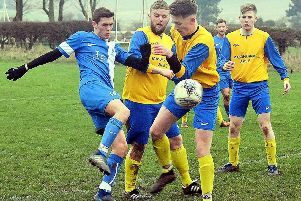 Wooler, North Sunderland and Newbiggin all progressed in the Sanderson Cup in the North Northumberland League on Saturday. 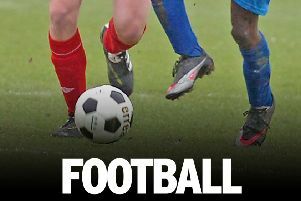 Wooler needed extra-time to see off Amble St Cuthbert, whilst North Sunderland and Newbiggin went through rather more comfortably against Bedlington seniors A and Ashington Town respectively. There was not much between the sides as Wooler took the tie after extra time. On 30 minutes a good through ball saw Connor Stroughton give Amble the lead but a Luke Strangeways goal right on half time saw the sides at the break. Wooler were the stronger side after half time but on 60 minutes Davey Stobbart put Amble ahead against the run of play. Jack Strangeways came on as substitute for Wooler and within five minutes he equalised from the penalty spot . No further scoring came in normal time but in the first period of extra time a second penalty from Jack Strangeways turned out to be the winning goal . Ashington held their own during the first half but trailed to a single goal at half time. During the second half Gavin Armstrong and Nick Dodds both netted for Ashington but it was Newbiggin who progressed as they netted five more before the final whistle. Goalscorers for Newbiggin were Ross Muter and Stephen Lucas with two apiece, Lee Messenger and Jordan Hall. During a good competitive game the home side created plenty of chances during the match and led by two goals at half time. It was much the same during the second half with North Sunderland adding two more before the final whistle. On target for the home side were Andrew Baillie, Jack Convery, Ryan Thompson and Adam Weightman. Alnwick were the stronger team in the first half and led by a Cameron Thorpe goal at half time. They continued to press after half time and made sure of the points with a second goal from Harry Millham. Table - Newbiggin 11-33, North Sunderland 12-28, Alnmouth United 13-24, Craster/Embleton 12-17, Wooler 10-17, Lowick United 14-17, Alnwick Town Dev 13-17, Amble St Cuthbert 12-13, Amble Masons 12-11, Ashington Town 11-9, Bedlington Seniors A 14-3. League - Alnmouth United v Amble Masons; Amble St Cuthbert v Lowick United; Ashington Town v Alnwick Town Dev; Bedlington Seniors A v Craster/Embleton; Wooler v Newbiggin.